Congratulations to Vanessa Selbst, Winner of Event 52 ($244,259)! Day 3 of Event 52, $2,500 Ten Game Mix Six-Handed, of the World Series of Poker has wrapped up after three long days of play. 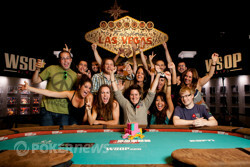 The event began with 420 other hopefuls and it’s Vanessa Selbst standing alone at the end of play with her second WSOP bracelet and $244,259. Selbst is the first woman to win an open bracelet event since she won her first bracelet in a 2008 $1,500 Pot Limit Omaha event. 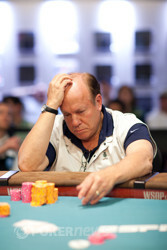 Selbst earned all but one elimination at the final table. She is the sixth woman to have multiple bracelets; she joins Barbara Enright, Nani Dollison, Jennifer Harmana, Susie Isaacs and Starla Brodie. Day 3 saw 19 players return to play down to a winner. Within three levels the field was trimmed down one table. Scott Clements was eliminated in 8th place, making this event the second final table he bubbled this series. The field combined to one table on the stage in the Pavilion Room seven-handed and after only ten minutes of play Julian Renard was eliminated. Selbst sent Renard packing while playing a round of Stud Hi. Selbst made two pair and Renard only held a pair of eights. The next elimination occurred during Pot Limit Omaha and Mike Gorodinsky got all his chips in on the flop. Gorodinsky held and Selbst tabled . The board completed and Selbst made a flush and sent Gorodinsky to the rail. Another 30 minutes would pass before Selbst sent another to the rail. This time the game was Razz. Thomas Chambers was short stacked and made an ace low and Selbst found her way to a nine eight low. Chamber was eliminated in 5th place. Chris Bjorin was the next to hit the rail during a round of Limit Hold’em. Selbst opened with two bets and Bjorin made it thee bets from the small blind. Selbst made it four bets and Bjorin called – leaving him with just 3,000 behind. The flop came , Bjorin tossed in his chips and Selbst called. Bjorin held and Selbst had . The board completed and Selbst earned another knockout. Tommy Hang had stayed out of the way for most of the final table and then he got committed in a hand of Stud. Michael Saltzburg did the dirty work this time, letting Selbst catch a breather. Saltzburg made a full house of jacks full of threes and Hang was drawing dead at sixth street. Hang was eliminated in third place. Selbst and Saltzburg entered heads up play with Selbst holding 2.64 million and Saltzburg had 516,000. The pair played one full round of 2-7 No Limit Single Draw that saw Selbst take five of the six hands played in that round. Saltzburg then survived a round of Omaha Hi Low 8-Or-Better that saw him get quartered on the low and left him with very few chips. The next round of 2-7 Limit Triple Draw would see them play just a couple hands before Selbst sealed her victory. The first round saw Saltzburg draw two cards and Selbst just one. The next round saw them both stand pat and Selbst table the nuts with for the win. The last hand of the tournament began with Vanessa Selbst opening the button. Michael Saltzburg called and then drew two. Selbst drew one and then Saltzburg led with a bet. Selbst then raised and Saltzburg called. Both players stood pat and then Saltzburg was all in for his last remaining chips. At this point, Selbst quickly tabled , holding the nuts. Saltzburg could do nothing but stare at the felt as Selbst was out of her chair waiting for Saltzburg's cards to go in the muck. That's exactly where they went, and Selbst was over to her rail to celebrate. With that, Saltzburg goes home in a very gallant second place, collecting $150,849, while Selbst wins her second World Series of Poker gold bracelet, solidifying herself as one of poker's greats. Vanessa Selbst opened for two bets and Michael Saltzburg called. The flop came , Saltzburg bet and Selbst made it two bets. Saltzburg called and the came on the turn. Saltzburg bet out again and Selbst made it two bets a second time. Saltzburg called and the river came . Saltzburg's last bet was all in and Saltzburg called. Selbst took the high and then chopped the low with Saltzburg. Vanessa Selbst has taken down a couple of omaha eight-or-better hands and managed to chop a very large one to gain even more of a lead. 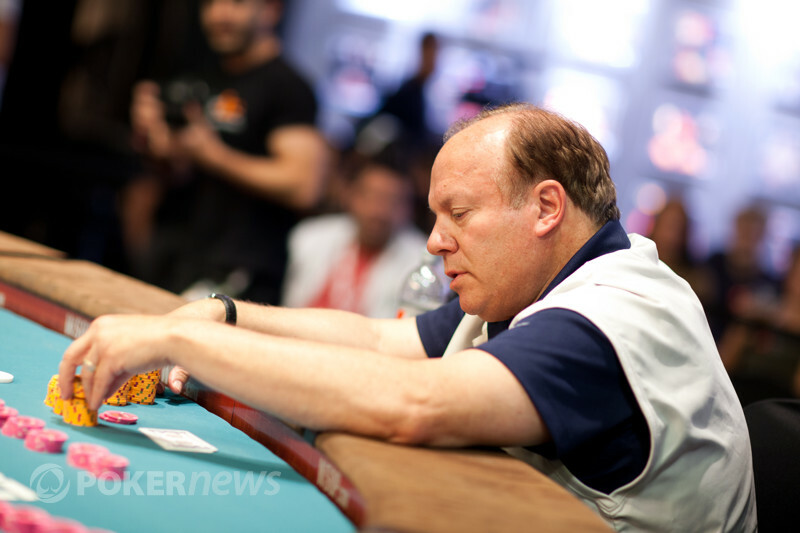 The first hand saw Michael Saltzburg fold to pressure on the turn, sending a small pot to Selbst. The very next hand saw Saltzburg again fold to a bet on the turn in a three-bet pot. The third hand was action filled, with a seeing plenty of bets hit the felt. At showdown, Selbst turned over for a seven high straight, while Saltzburg held enough for the wheel and the low pot. Some of Vanessa Selbst's friends have shown up to give her their support. Maria Ho, Liv Boeree, Galen Hall, Vanessa Rousso Scott Seiver and Tiffany Michelle are all in attendance. They even brought signs to hold up. Vanessa Selbst dominated the round of 2-7 No Limit Single Draw. She won the first hand after Saltzburg called a 30,000 bet. Selbst made a low and Saltzburg mucked. Selbst won five of the six hands they played. Cards are back in the air following the shortened dinner break.